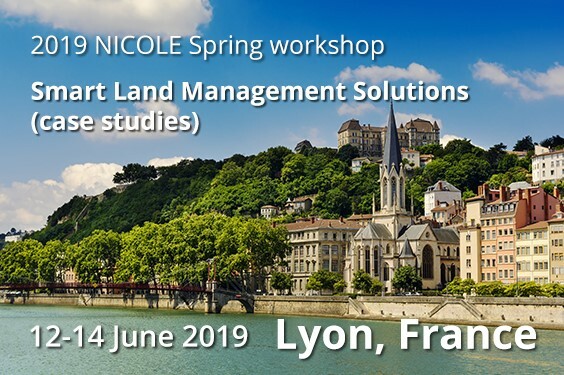 From 12-14 June 2019, NICOLE's spring Workshop will be held at Hôtel Charlemagne, Lyon, France. The topic of the workshop will be Smart Land Management Solutions (case studies). The idea is to have a workshop that goes beyond the theoretical, pilot and demonstration level and instead is able to bring cases where a smart solution led to a significantly better outcome than a more traditional approach would have done. Examples would be an innovative remedial technology, a creative stakeholder management approach that allowed for a less classical remediation, etc. Call for abstracts the call is closed now. of acceptance of their submissions for either a presentation or a poster. Speakers’ final abstracts and presentations must be submitted by 5 June 2019. Preliminary program is available now. (not solely focussing on remedial activities) on the management of liabilities? What is / may be the role of UN SDGs in contaminated land management? What shift may it engender? Call for Abstracts is closed now. If you are not a NICOLE member yet and interested in attending a workshop, please contact our secretariat Nan Su.